Ahead of Black Friday and Cyber Monday Sweden’s Volvo Cars has unveiled a brand new way to take some of the hassle out of Christmas shopping. The car maker has launched the world’s first commercially available in-car delivery service by teaming up with PostNord, the Nordic region’s leading communication and logistics supplier, Lekmer.com, the leading Nordic online toy and baby goods store, and Mat.se, a Swedish online grocery retailer, to have Christmas toys, gifts, food and drinks delivered to its cars. 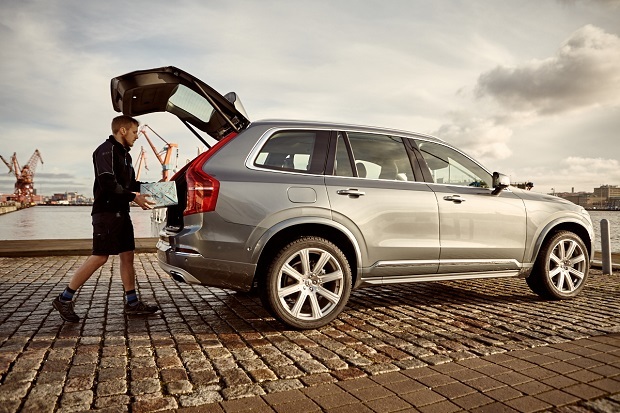 Volvo In-car Delivery is currently only available for Volvo drivers in Gothenburg who subscribe to the Volvo On Call service, but it will be introduced elsewhere in Sweden and to other countries in future. There will also be a wider range of goods available for In-car Delivery as Volvo joins forces with more companies. Volvo owners just choose the In-car Delivery option at the online checkout when they buy their gifts, food, drinks or other packages.